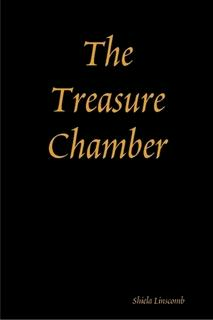 I recently published a memoir entitled, The Treasure Chamber. It is about finding inspiration and overcoming obstacles. It is set in south Louisiana, and therefore Cajun and Creole culture, and the occasional hurricane serve as a backdrop. What happens when grief, despair and emotional trauma are met with love and faith and forgiveness? Louisiana author Shiela Linscomb answers this question and more in The Treasure Chamber, a powerful memoir that celebrates the splendor of perseverance. Set in south Louisiana, Cajun and Creole culture-- and the occasional hurricane-- serve as a backdrop. The Treasure Chamber is a courageous tale of a childhood marred by superstition, voodoo, and mental illness. The story chronicles the author’s remarkable journey, as she battles enormous obstacles. It is an epic story of the passion and wild abandon of first love. Soon after marrying the love of her life, Linscomb has a son. However, the marriage is brief, and ends in a shocking, extraordinary manner. A single parent, she manages to graduate from college, then go to law school. When faced with the ultimate tragedy, it is her unyielding determination and faith in God that enables her to keep moving forward. As a mother and successful attorney, she should have been happy and fulfilled. Instead, she encounters a crushing adversary that threatens to destroy her. Her combination of intellect, courage and wit, provides for a compelling, poetic account of healing and restoration. Shiela Linscomb is a graduate of Southern University Law School and UL Lafayette. She practiced law in Louisiana for fifteen years. She is currently working on a second book.